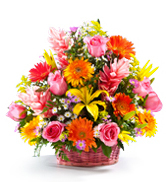 Send flowers to Panama same-day when you order by 12 noon, Eastern U.S. time. Send Flowers to Panama through our extensive network of local Panama florists and have your flowers delivered to Panama City and other major cities in Panama. 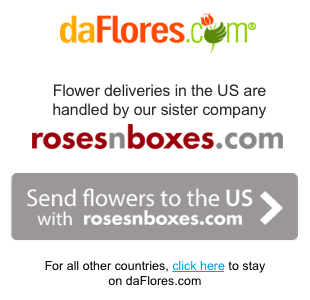 Send flowers to Panama with daFlores, and you can always be sure of sending the best. Our florists in Panama are all carefully selected as experts in their field. Each offers assurance that they'll use fresh flowers every morning, which means that, when you arrange your flower delivery in Panama, it's guaranteed to exceed expectations. The people in Panama are well-used to growing things. From logging to cropping, the country produces corn, beans and tubers. Our florists in Panama know how to recognize a beautiful blossom and how to pick the best. We go there personally to ensure they use fresh flowers every morning and that that our international florists know what they're talking about. Unless they've been in business for a decade or longer, we won't work with a partner. It's easy to send flowers to Panama. Just select the country from our list and start browsing the sections. We divide them up by theme: for example, our mixed bouquets are ideal for thank-yous, get-wells and birthdays. You can also browse by occasion or price. Then make your selections, fill out delivery details and we take care of the rest. You can trust us to get your flower delivery in Panama to the doorstep, on time. So there you have it. Send flowers to Costa Rica, Panama or any other country in the Americas with daFlores for both happy and somber occasions. Our quality speaks for itself. 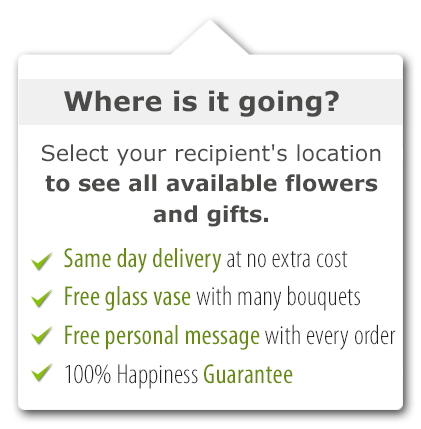 Our accurate, respectful flower delivery service in Panama comes backed up with a full satisfaction guarantee. If you're not delighted, we'll listen and work with you until you are. Every time. When you choose daFlores, you'll never again need another florist in Panama. Same Day Flower Delivery to all cities in Panama. Para ver esta página en Español, favor visitar nuestra página de Enviar Flores a Panamá.